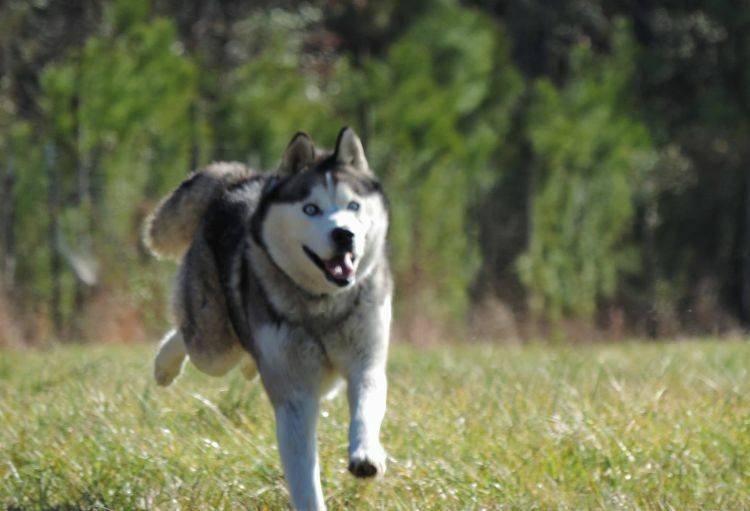 Dogs are highly social creatures who need companionship and room to run. 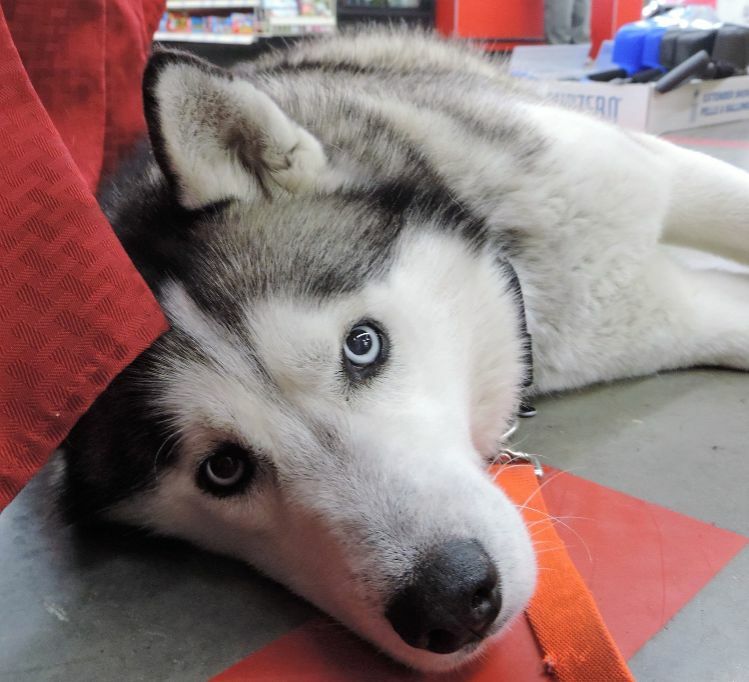 Sadly, a Siberian Husky named Biscuit and eight other dogs kept on a property in Kentucky were kept chained in kennels, unable to run and play as dogs should do. 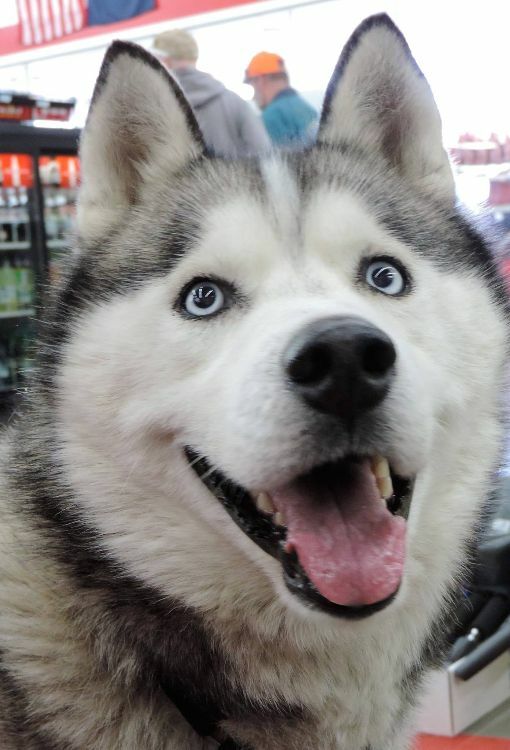 Biscuit is a two-year-old Siberian Husky, a highly intelligent and social breed that needs lots of space and at least one hour of vigorous exercise daily. Instead, Biscuit was always chained and had no shelter. Biscuit's miracle arrived in the form of Amy Hines of the Dogs Deserve Better rescue in Smithfield, Virginia. 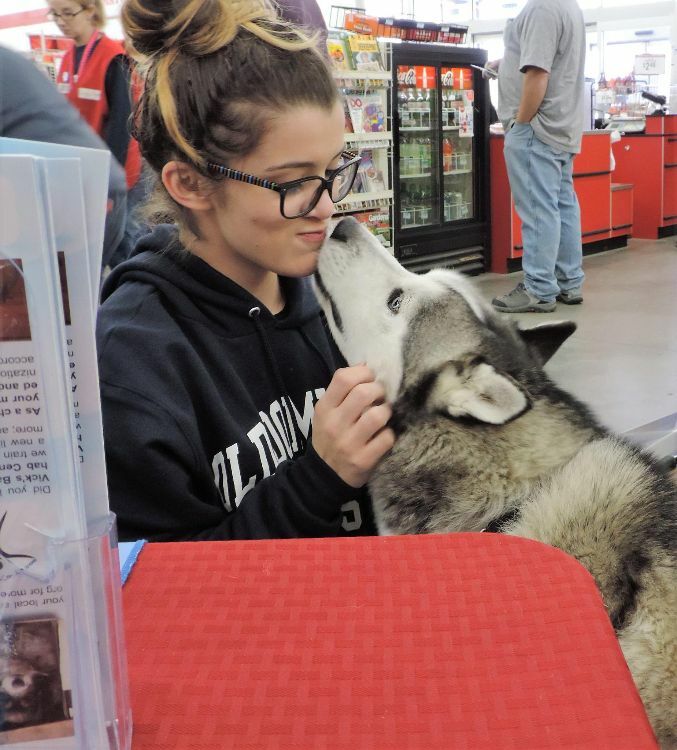 While driving by the dogs' property, Hines saw the conditions of the dogs were living in, and she stopped, established a relationship with the dogs' owner, and began rescuing all nine dogs that very day. The Dogs Deserve Better rescue states that “Amy spotted Biscuit and his siblings, friends, co-canines, on a property in KY while visiting. Amy didn’t just drive by, she stopped and rescued one of the dogs that very day. She continued communicating with the owner until every single dog was rescued from that property, where they were chained 24/7 with no shelter." Biscuit and his canine buddies were transferred to the Good Newz Rehab Center in Virginia that is run by Dogs Deserve Better. The property once housed dogs trained for fighting and belonged to Michael Vick. Now it serves as a second chance at life for dogs like Biscuit. Check out this moving video of Biscuit's first chance ever to run loose in a field. 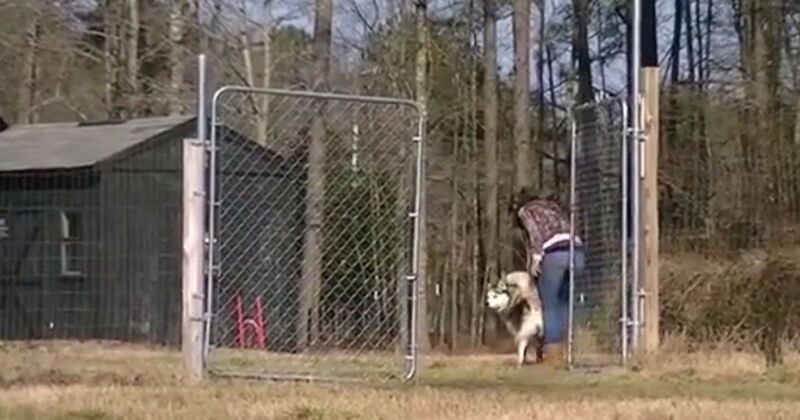 You'll have goosebumps watching how happy Biscuit is to have an opportunity to be a dog! Biscuit has responded so well to training that he is on his way to his new home where he is sure to be loved, cared for, and allowed to be a dog. Check out the video below to see how well-trained Biscuit has become, and be sure to share his story with your family and friends on Facebook.